Newer: » Costa Maya delegates explore Hol Chan, Shark Ray and Caye Caulker! 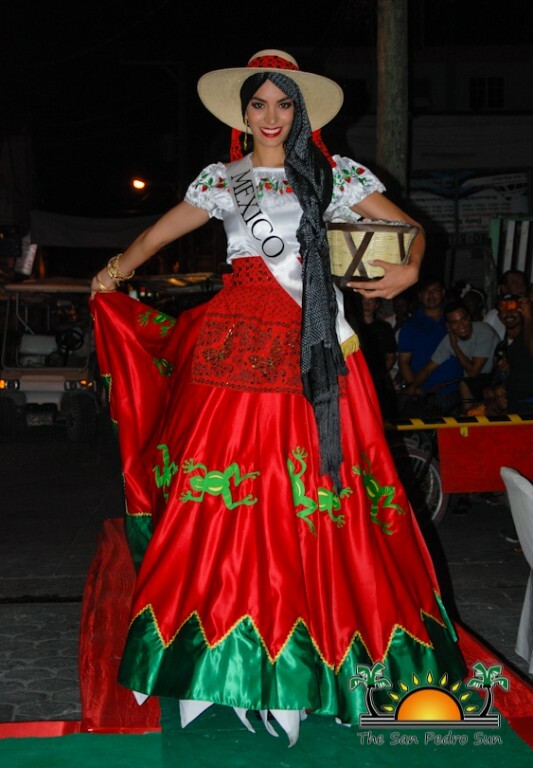 Activities leading up to the Reina de la Costa Maya Pageant continue in full swing on Ambergris Caye. 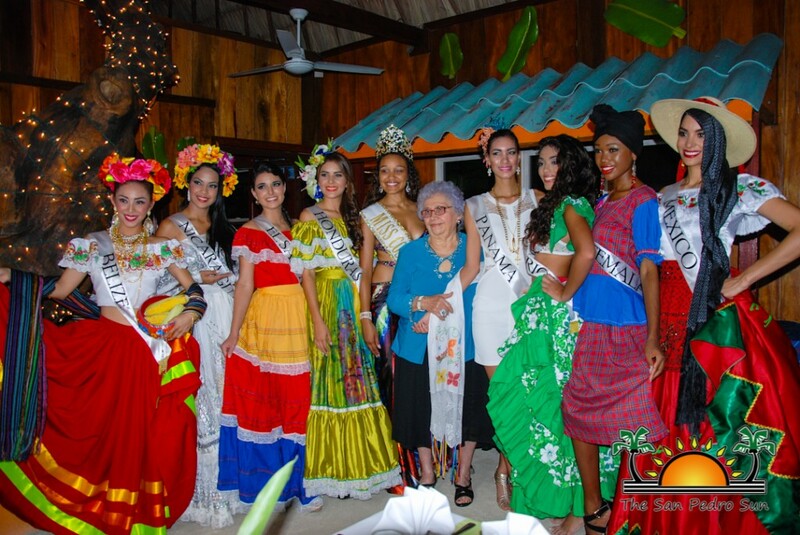 On Saturday August 2nd, the newly sashed contestants were officially introduced to islanders at Noche San Pedrana hosted by Elvi’s Kitchen. 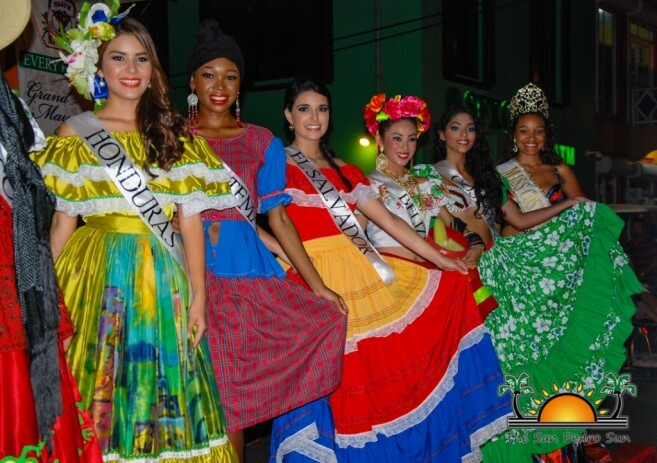 The beauty ambassadors all took to the stage, modeling their cultural outfit that displayed a bit of each of their country’s rich diversities. They introduced themselves and spoke about their country, and even shared a bit about their Belizean experience. Present at the event as were the Minister of Tourism Civil Aviation and Culture, Manuel Heredia Jr. and Mayor of San Pedro Town Daniel Guerrero. The two officially welcomed the delegates to Belize and the island. Following the cultural outfit presentation, the contestants joined the invited guests for a Maya buffet. The invited guests enjoyed the diversity of food which included tamalitos de Chaya, tamales, flautas, pibil and maja blanca. 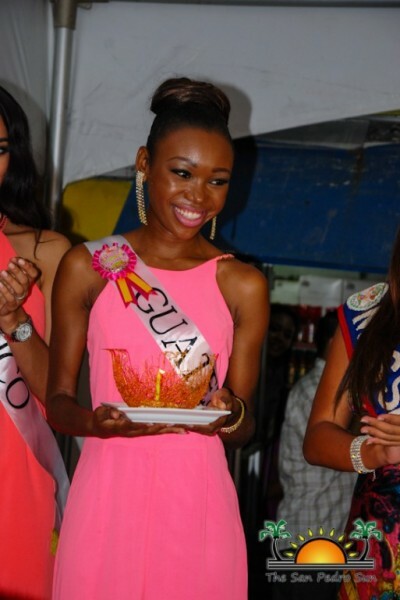 After dining on the delicious meal, contestants joined guests in singing and wishing Miss Guatemala Keyla Bermudez a happy birthday. The party continued late into the night with much dancing, laughter and fun.